I bought a Dremel and bored out the socket where the handset cord was coming out of. Then I stuck the screen and cell shield in there. 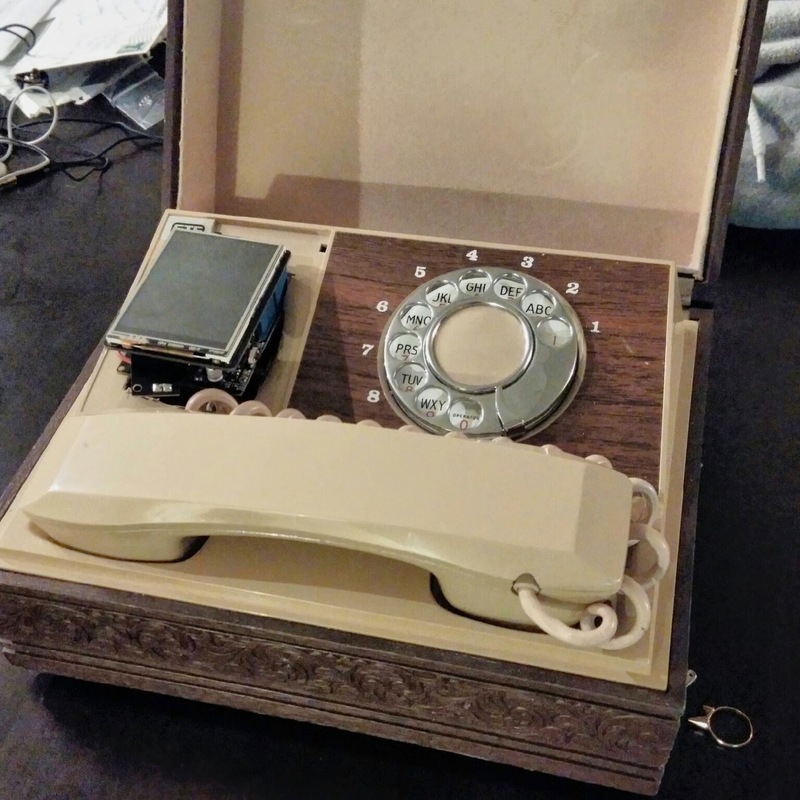 Now the rotary cell phone is self contained and pretty.